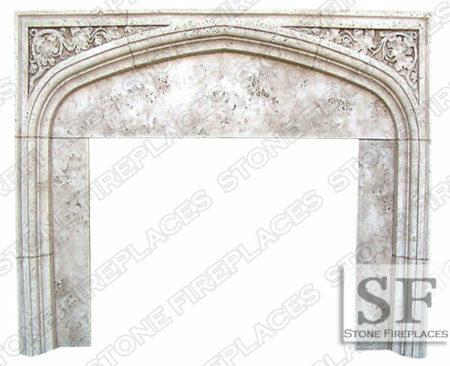 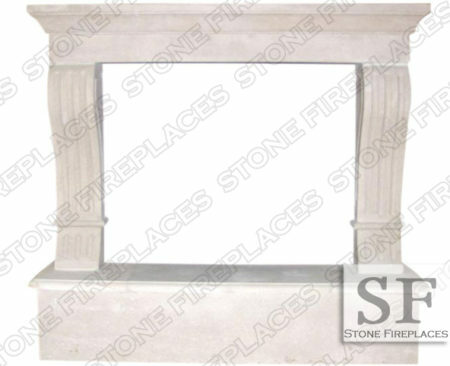 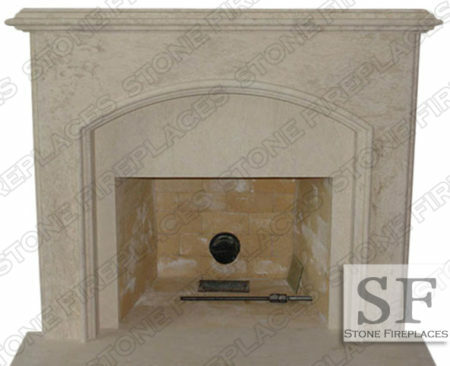 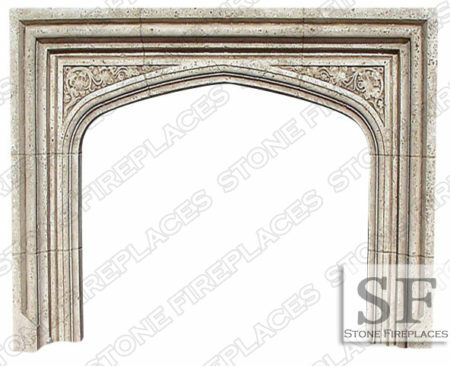 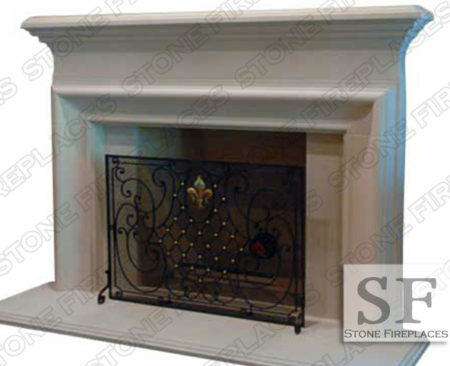 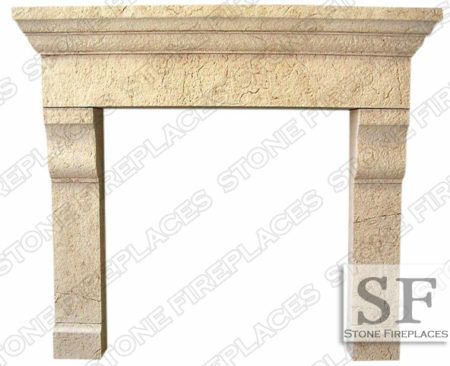 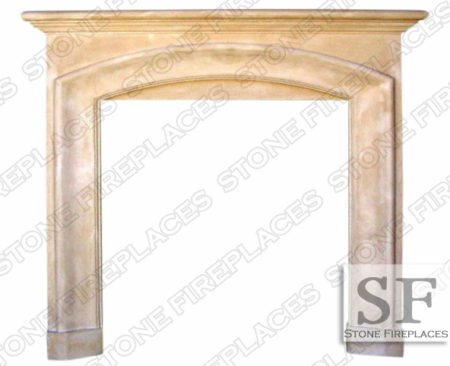 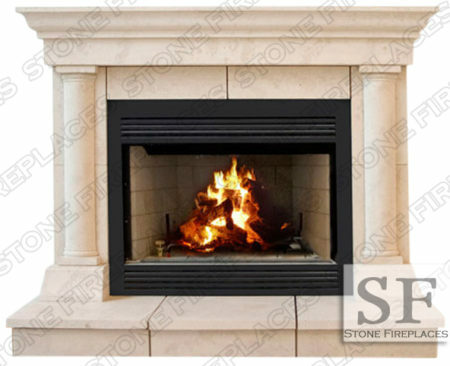 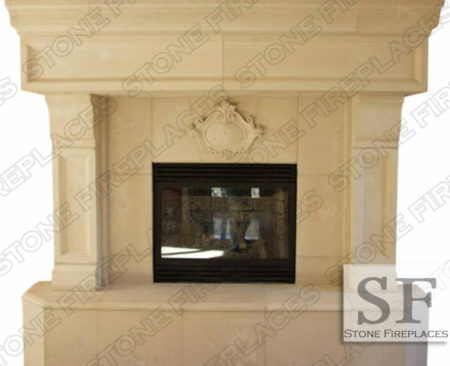 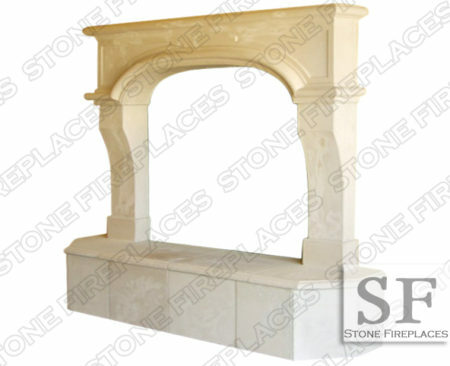 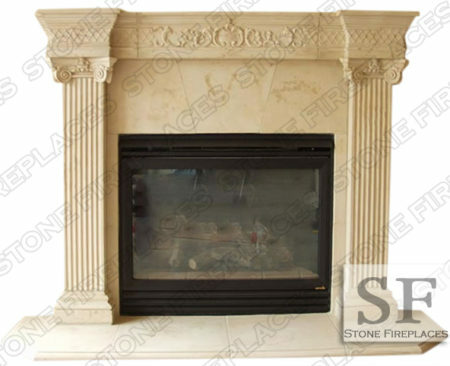 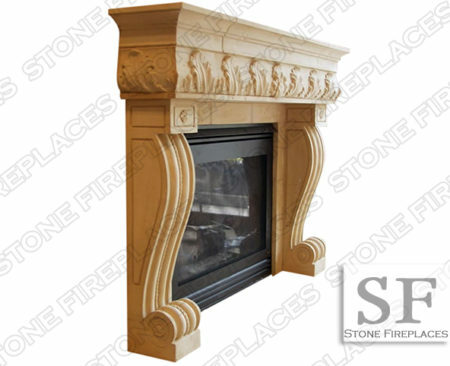 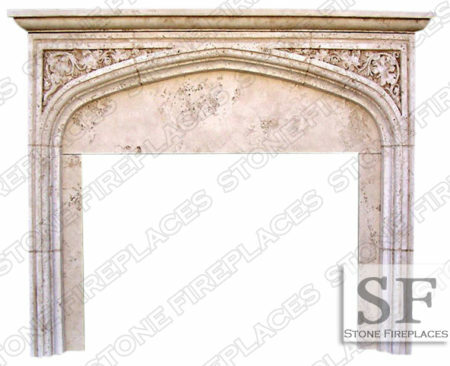 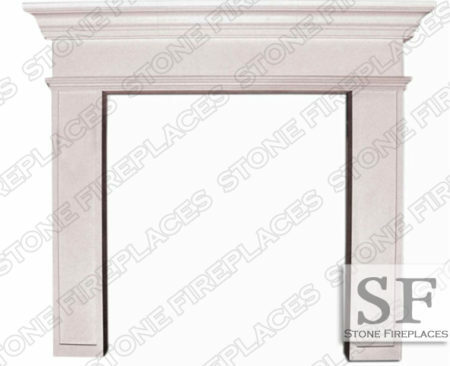 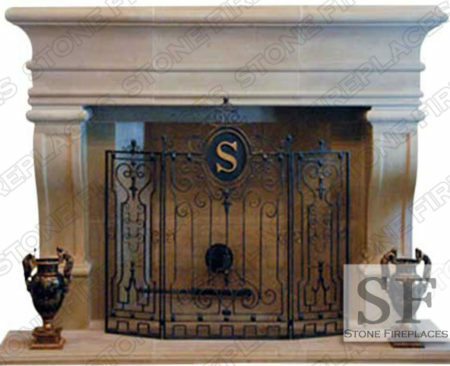 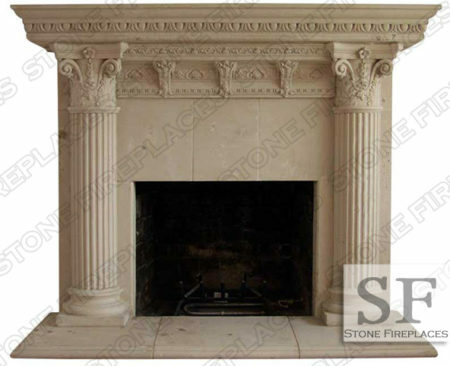 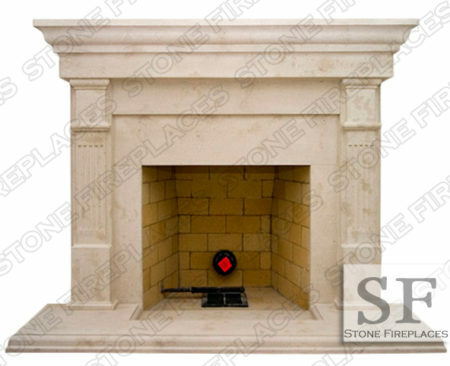 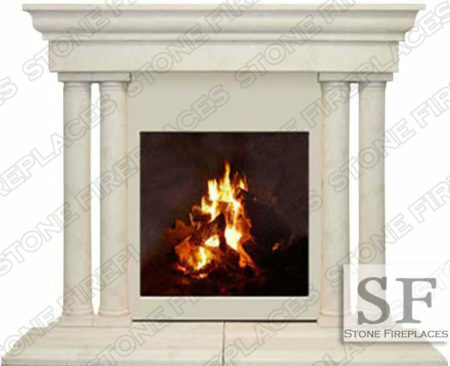 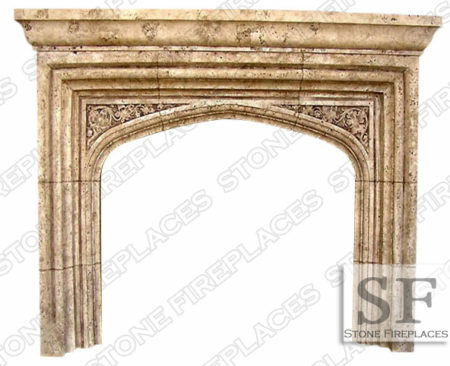 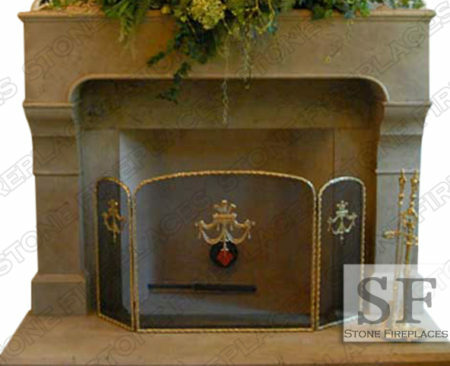 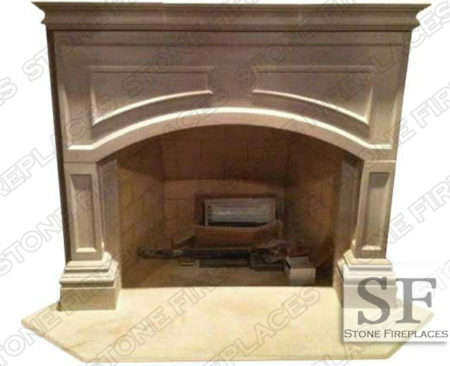 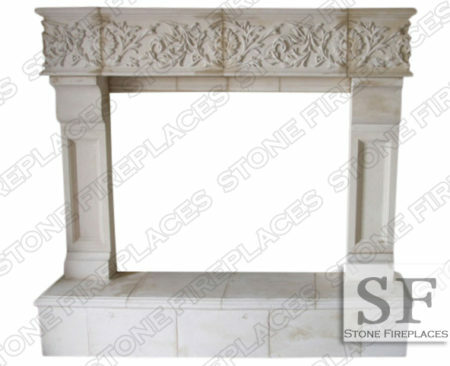 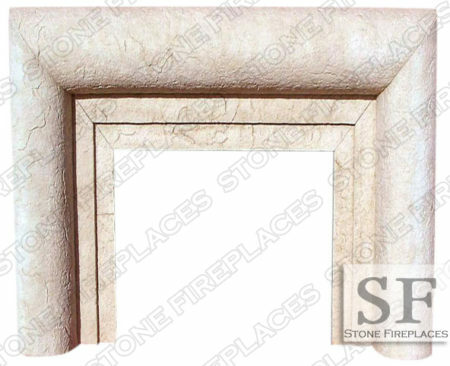 Our Scottsdale cast stone fireplaces have very fine detail as could be seen in the corbels. 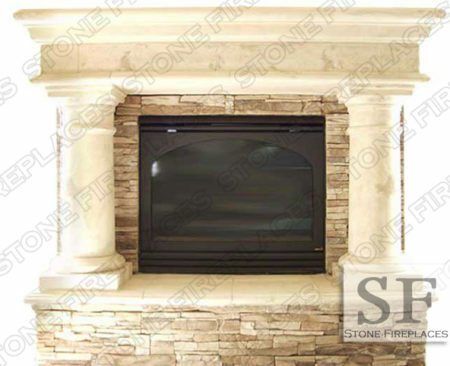 This cast stone fireplaces is mounted on a hearth. 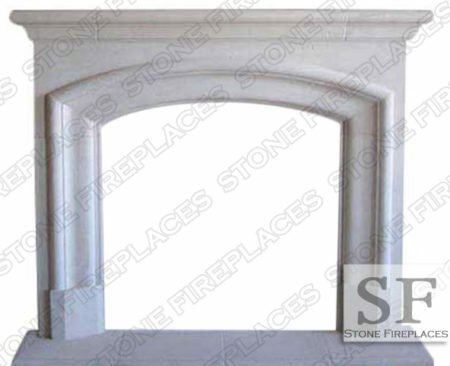 A leaf corbel and an arched opening. 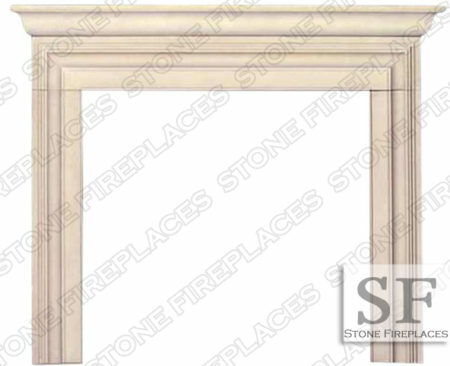 Scottsdale AZ mantel has a textured finish that is meant to resemble travertine. 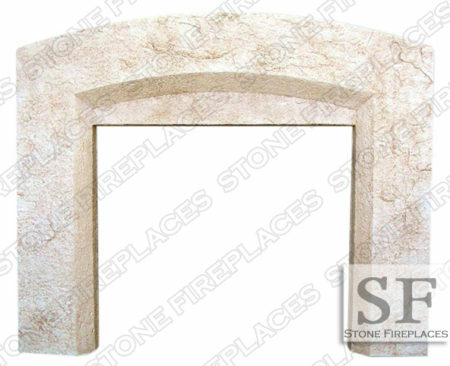 You can also have this surround facing carved from travertine. 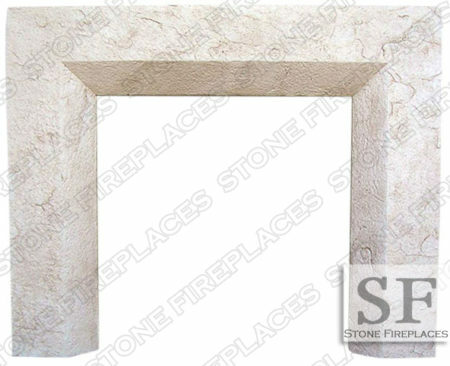 The texture gives it more of a rustic appearance. 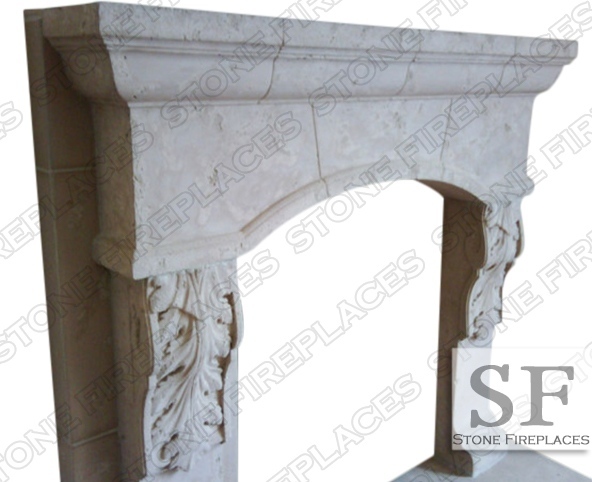 For more options of mantel facings follow the linked text. 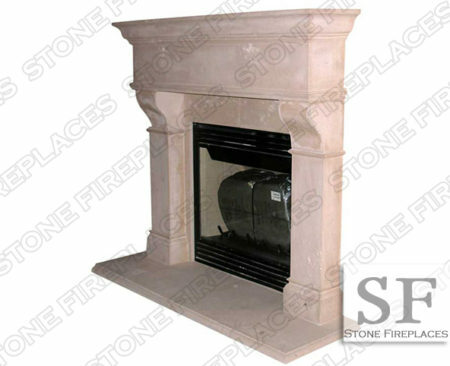 Arizona is a popular state for precast and other man made stones. 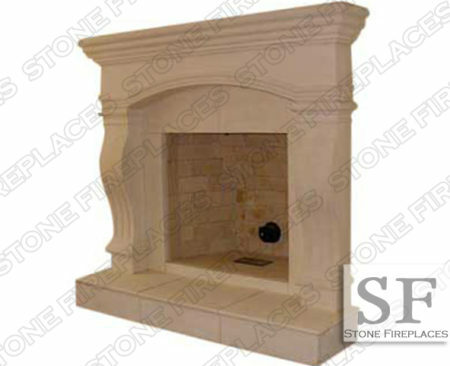 We provide great prices on shipping to all states including Arizona.